15 Best iOS Emulators for PC: Have you ever thought of trying out the iOS apps from your iPhone or iPad on your Windows PC/Laptop? If yes, then you are at the right spot as we are going to share with you the 15 best iOS Emulators for Windows 10/8.1 or Windows 8/7/XP PC/Laptop. So, what exactly is an emulator? An emulator enables your PC/Laptop to run programs of a different system in it. You can even call emulators a virtual machine. Let me tell you another cool thing of these iOS Emulators. Even if you don’t own an iOS device you can enjoy iOS apps and games, with the help of these amazing iOS emulators, on your Windows PC/Laptop. An iOS Emulator is actually a replacement of the original device itself. You can run the same applications and programs, without any kind of modification, which you run on your iOS device, on the iOS Emulator. What is the Difference Between iOS Emulators & iOS Simulators? In the case of the iOS Simulator, it also does the same thing. It sets up the environment of the operating system. But the difference lies in the fact, that it doesn’t replicate the hardware. Hence, not all applications work on a Simulator. However, it does run the code faster and even launches up in seconds. Developers prefer iOS Emulators over the Simulators for testing out iOS applications. What are the Advantages of Using an iOS Emulator? The major advantages come in the form of testing as these iOS emulators can be used for testing out various applications during the development stages. You can run iOS emulators on multiple devices. So, not only Windows; some iOS emulators can be run on Linux as well. For people who can’t afford an iPhone or an iPad can enjoy the iOS operating system without having to bear any cost. Moreover, some persons are actually in a dilemma about whether they should move to the iOS operating system or not. For these persons, iOS emulators play a major role as they can actually get the look, feel and working of the iOS operating system. Based on their experience they can decide whether they should go ahead or not. Let us dig in the list of the Top 15 iOS Emulators available for Windows 10/8/7 & Windows 8.1/XP PC/Laptop. Best Emulator: Delta Emulator[GBA4iOS Advanced Version] on iPhone/iPad No Jailbreak. Smart Face is one of the best iOS Emulators. It is widely used by the iOS developers for developing and testing cross-platform native iOS applications. It is a kind of a full-featured business level management platform. Smart Face even provides the complete range of debugging options to the developers. Smart Face comes in free as well as paid versions. The paid version starts from $99 and unlocks some of the features which will be of great help to the developers for testing out their iOS applications. Air iPhone Emulator is another one of the coolest iOS emulators. This emulator actually creates a copy of the iPhone’s graphical user interface on your Windows PC/Laptop. For running Air iPhone efficiently you will actually require to download Adobe AIR framework from their official website. Though the iPhone is completely reproduced by this amazing emulator developers do have a bit of trouble when testing applications on this emulator. 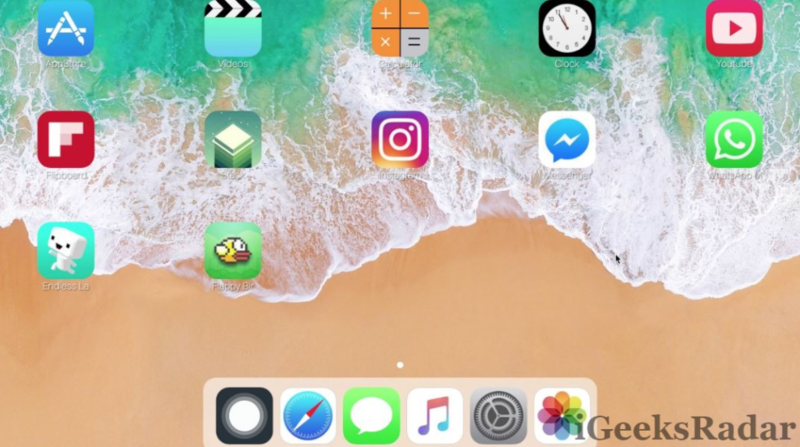 But, if you don’t own an iOS device and want to experience the iPhone then you must go for this emulator as it will give you a complete iPhone like experience on your Windows PC/Laptop. Trick: How to Sign Out of Game Centre & Make New Account on iOS Devices. 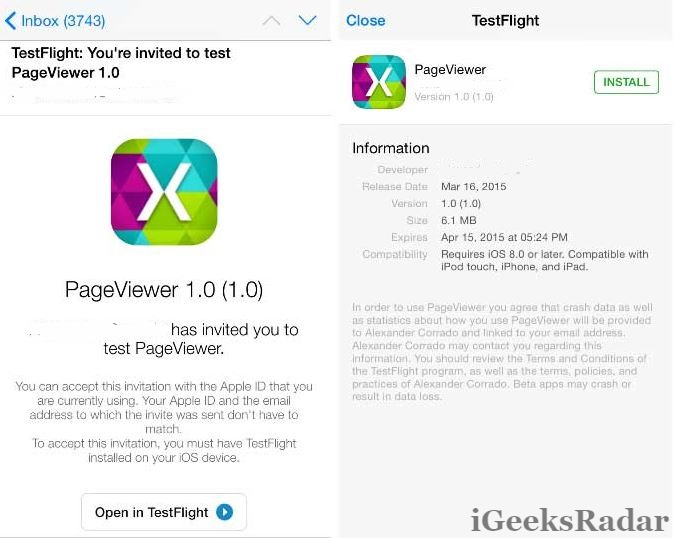 If you are looking for a good amount of support while using an iOS emulator then we recommend going for Xamarin Test Flight. 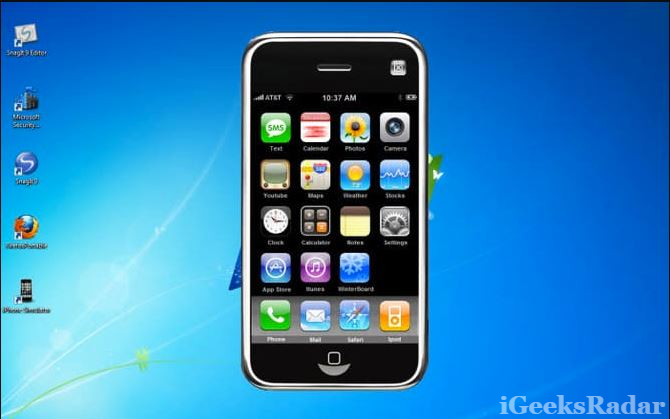 Along with providing effective support, the iOS emulator has a very user-friendly interface. Majorly used by the developers you can easily use this iOS emulator for running iOS applications on your Windows PC/Laptop. Applications that run on iOS 8.0 or above can be emulated and tested through this emulator. This is actually a beta testing service for iOS applications and is owned by Apple now. It runs on Visual Studio. Again, those who can’t afford to buy an iPhone can go for this simulator as it actually creates a virtual iPhone on your desktop. It comes for free. However, there is a major disadvantage of using this that it only allows limited iOS applications and games to run on it. But, still, for getting an iPhone experience, without actually having to buy one, iPhone Simulator is your best bet. Best List: 6 Best iCloud Bypass Tools- iCloud Activation Lock Removal 2018 List. Electric Mobile Studio is the boss of all iOS emulators as it is an ultra high-quality product and used for developing, testing, redesigning and creating an iOS application on a Windows PC. This iOS Emulator is a perfect platform to develop iOS applications with various programming languages and you can run all the applications on it which are available on the App Store. Both the iPhone and iPad can be easily managed using this fantastic emulator. However, the thing which requires consideration is that Electric Mobile Studio is a heavy piece of software and consumes a lot of RAM. You ought to have at least 6 GB of RAM to enable it to run smoothly. Moreover, Electric Mobile Studio is pretty expensive as it’s cost starts from $39.99 per month. You can also opt for a 7-day free trial. It is an all-in-one tool so that’s why major iOS developers opt for it. It is a complete package. Best Apps: Download Top 5 Best Live TV Apps to Watch Movies & TV Shows 2018. Technically, this is not an iOS Emulator but it actually simulates the look and feels of the iPad on your Windows desktop. Using iPadian, your desktop will look like an iPad. You need to have Adobe Air installed before using iPadian. You can’t access iOS applications on iPadian. So, to give the users a feeling of the iOS apps, it has its own native App Store. The customized App Store consists of some applications which can actually run on it. If you want some more features you can go for the paid version of iPadian which costs a mere $10. If you are looking for an iOS Emulator which is pretty basic to use then, decidedly. go for App.io as it boasts of a simple user interface which is quite easy to navigate. However, the only disadvantage that this emulator has is that it is considerably slow. It is bundled with a 7 days free trial and post-trial period, if you wish, you can upgrade to premium. Please note the App.io is constructed on the foundation of a cloud. Hence, you require syncing up the iOS.appi bundle or the APK file with this in order to get going. Appetize.io can be termed as an alternative to App.io; however, it is much better in certain terms. 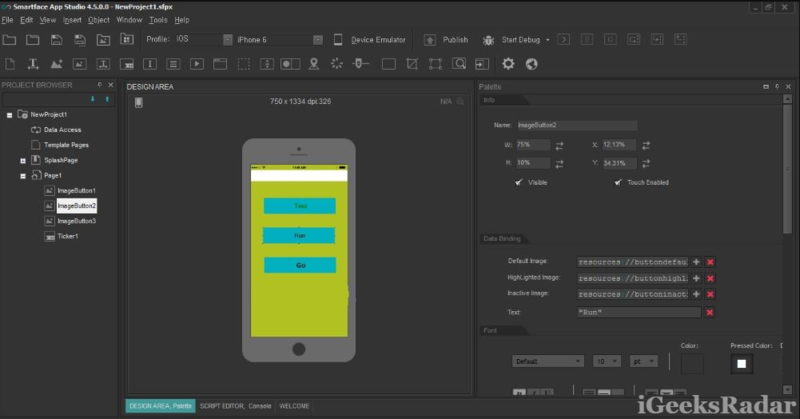 This emulator makes it possible to develop both Android as well as iOS applications on the cloud. For using Appetize.io you require visiting the official website of appetize.io and upload any iOS or Android application file. You require putting down your email address to receive the app link. Post submission of the email you will receive a link. Simply tap on the link to run your application in your native browser. Ripple is a Google Chrome based browser extension that can be effectively utilized as an iOS emulator. You can develop new iOS applications as well as test the existing ones with the aid and assistance of Ripple. Ripple is capable of running all iOS applications ranging from the first iOS version to iOS 12. Being one of the latest products in the relative market, Visual Studio is really popular. 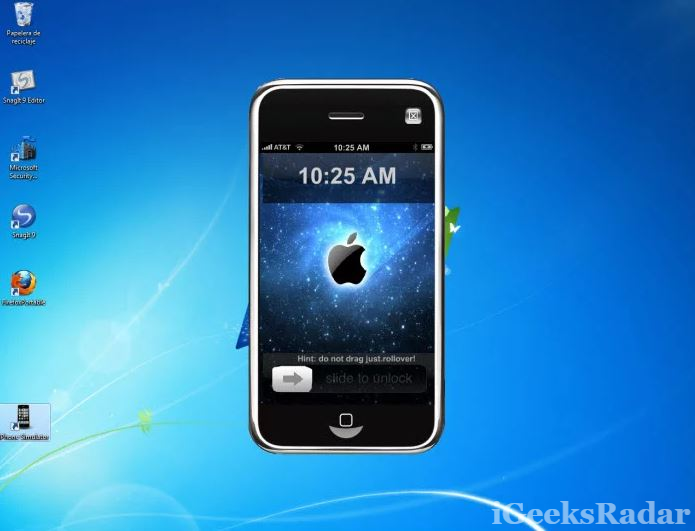 It gives power to iOS developers to build and test the iOS applications on their Windows as well as MAC Computer. 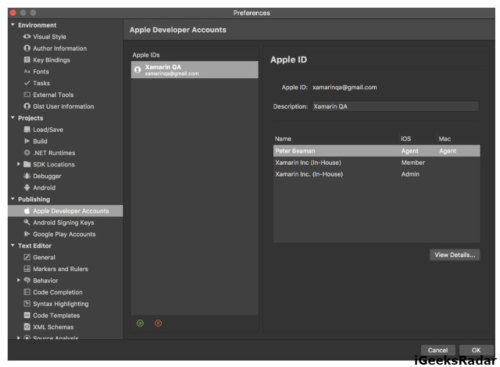 Visual Studio came up for MAC after the final release of Xamarin Studio i.e. Xamarin Studio 6.3 and now has all the features of Xamarin in it. However, if you are running Visual Studio on Windows you might require to integrate Xamarin Studio in it to get the iOS developing and testing features. The primary purpose of MobiOne Studio is to enable developers to test their applications on cross-platforms. Moreover, you can also play iOS games on MobiOne Studio without any glitch. 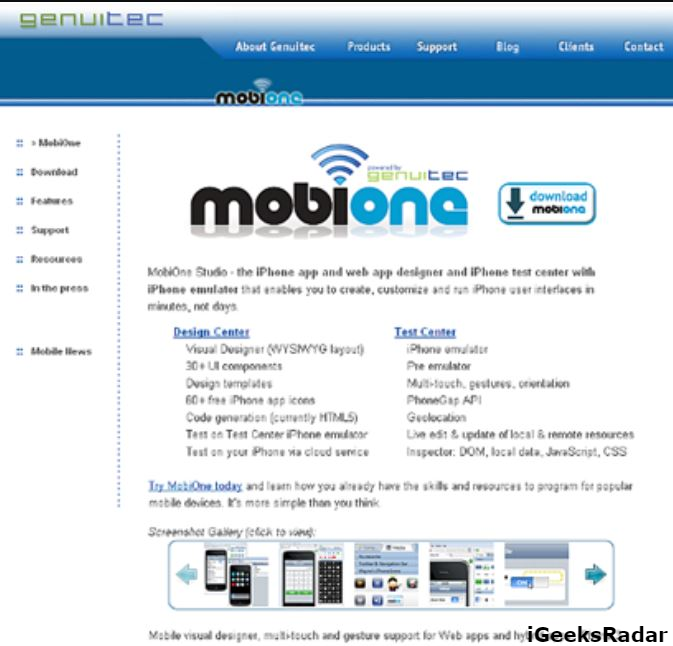 The only downside to MobiOne Studio is that it is not a freeware and offers only a fifteen-day free trial. Please note that the developer no longer supports this emulator, however, it works fine when downloaded. If you just want to play iOS games on your PC/Laptop, then iMAME is perfect for you. iMAME is an iOS emulator which caters specifically to iOS gamers. Please note that you will see only gaming-related features in iMAME making it extremely light on resources. There are no user reports of any kind of bugs or errors in the application. Developers of Xamarin are behind the development of the remoted iOS Simulator. 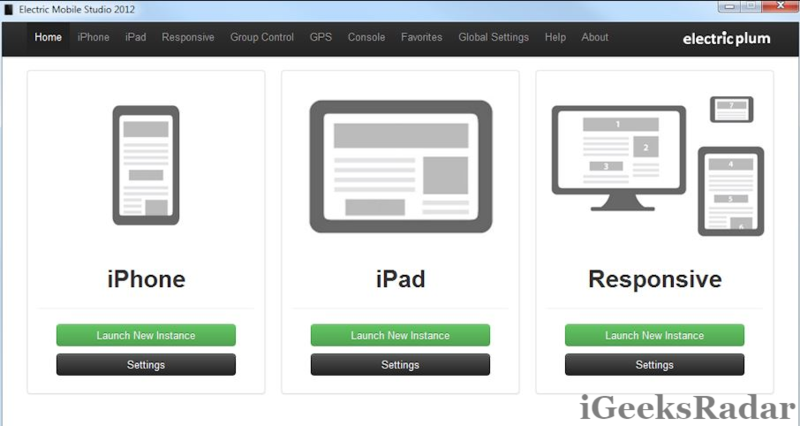 With this emulator installed on your PC/Laptop, you can test the iOS applications with ease. If you are thinking of making a switch from Android to iOS and want to know whether Apple OS suits you or not, you can easily check out the same with the help of the Remoted iOS Simulator. This is an online iOS emulator, whose main purpose is to showcase the web developers as to how a particular website will look like on an iPhone. The emulator is available for free and you can test your website in various screen sizes. Moreover, the emulator simulates a touchscreen interface as well. 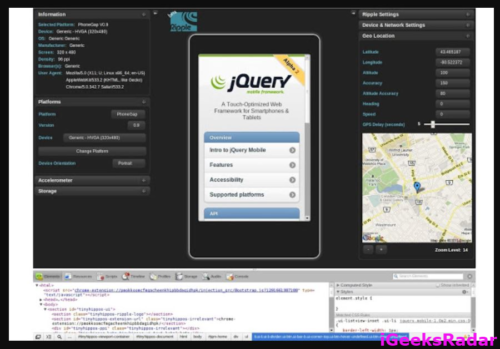 This is also an online emulator which helps the developers to check their website on various screen sizes. As of now, ScreenFly supports iPhone 5 and iPhone 6. ScreenFly breaks the screen resolution into pixels enabling the developer to make minute adjustments. Get the Feel of iOS on Windows With The Best iOS Emulator for Windows 10/8/7 & Windows 8.1/XP PC/Laptop: These were the 15 best iOS emulators for your Windows PC/Laptop. We hope that we have selected the ones who will actually suffice your needs. If you are using any other iOS Emulator, not mentioned in this list, which solves your purpose then please let us know so that the same can be updated in the post for the benefit of our readers. Download apps larger than 150MB over Cellular Data on your iPhone.